On Sunday, September 30th, Cody Beals won IRONMAN Chattanooga. In just his second full distance triathlon, Beals has become a two-time Ironman champion. The Canuck took his debut win in Mont-Tremblant, Quebec earlier this year. It was an impressive race – setting the bike course record and beating Lionel Sanders. In Chattanooga, Tennessee, the Canadian again went up against a tough field, including names like Matt Russell, Kirill Kotsegarov and Joe Gambles. 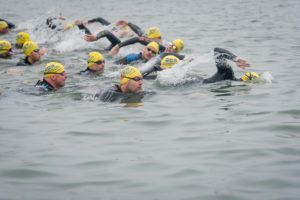 With the swim cancelled due to flooding and debris in the water, Beals drew the first position in the time trial start. With no one in front of him at the beginning, the Canadian would see no one for the rest of the race. Beals set the fastest bike split of the day (4:20:25) and followed it up with a 2:48:17 marathon. He finished the race nearly 12 minutes ahead of Russell (second) and 13 minutes ahead of Kotsegarov (third). Chattanooga marks the end of Beals’ impressive season – three 70.3 (Taiwan, Victoria & Eagleman) and two full Ironman wins. What awaits the Canadian in 2019? Only time will tell. What a note to end my best season on! A wire-to-wire win at @ironmantri Chattanooga makes my IRONMAN record 2/2 🥇! Despite a cancelled swim due to heavy rain, the bike-run time trial format, hilly 116 mile ride & crushing heat trashed me like no other race! Thank you for all the love and support! Knowing that so many of you were tuned into the live coverage made my day much less lonely. 😊 Congrats to comeback kings @mattrusselltri & @kirill.kotsegarov rounding out the podium. Special thank you @stac_performance for supporting me on site, my homestay Chris & Nate Lawyer (& emotional support cats! ), my coach/mentor @coachtilburs, @skechersperformance_canada for getting me those crazy prototype shoes to test, & the army of volunteers. More thoughts to come!